Home > Timesheets > Timesheets - FAQs > How Do I Enable Timesheet Reminders for Employees? 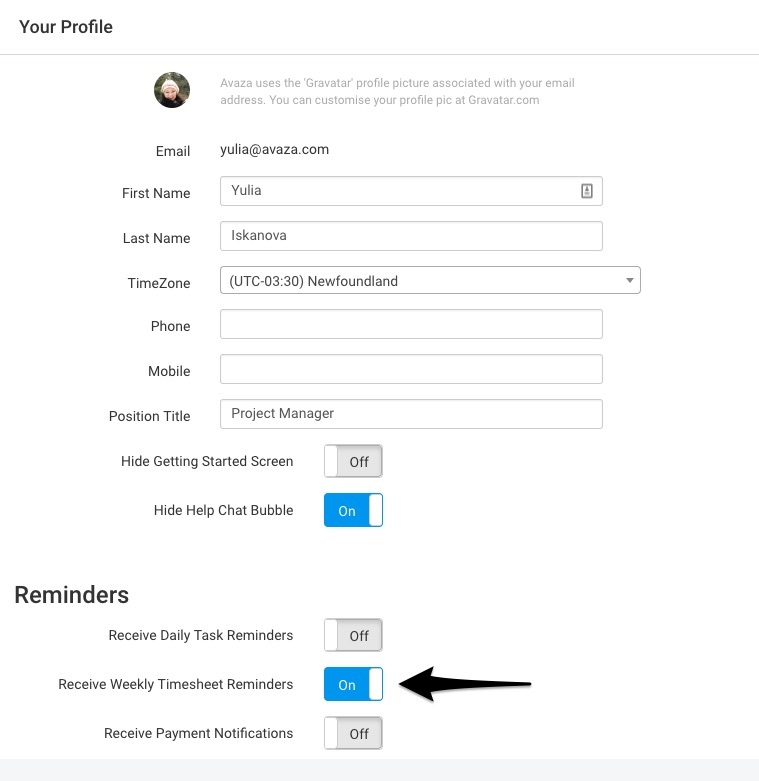 To enable Timesheet reminders, navigate to Settings > Timesheet Settings and toggle the Reminders On or Off. When an admin sets the reminders to On, all future users will have this setting switched on by default. You must enter Working Hours per week for each user via the Contacts page before they will receive any timesheet reminders. All users with total weekly timesheet duration that is less than the total working hours per week will receive the notification. If the user is not receiving the Timesheet Reminders, make sure the reminders are not disabled in the user’s settings. To check this, navigate to the ‘User Profile’ and toggle the control for ‘Receive Weekly Timesheet Reminders’. Do contact our support team via chat, or by emailing them at support@avaza.com if you need more help. 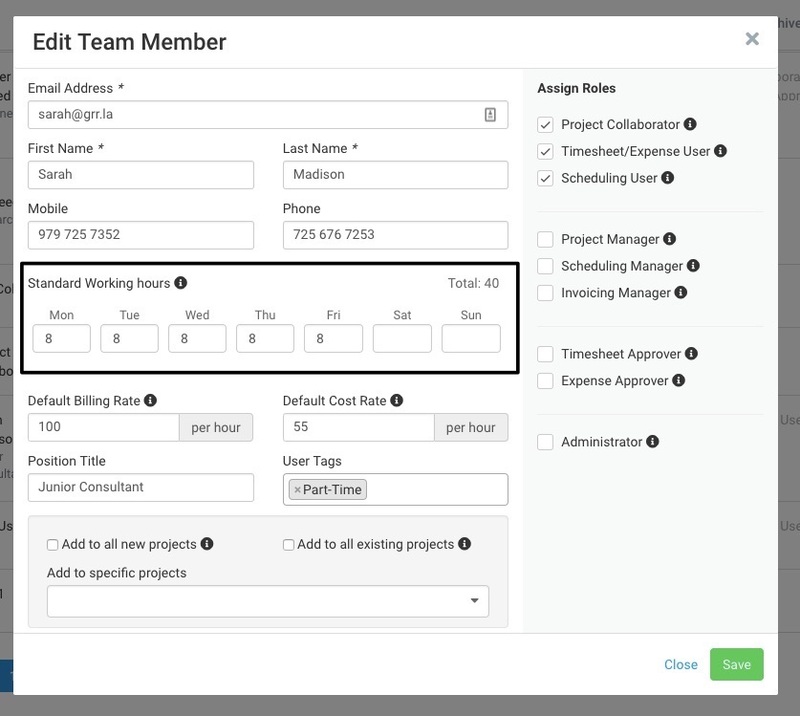 Here’s more about working with timesheets in Avaza.